People with psoriasis may be at increased risk of calcium buildup in the arteries an indicator of heart disease risk comparable to that of people with diabetes, according to a new study. Comparing people in their 50s with psoriasis, diabetes or neither disease, researchers found that moderate to severe calcium buildup, or atherosclerosis, was about five times as common in people with diabetes or psoriasis as it was in the others. “We know that psoriasis accelerates vascular disease, but we’re not sure how or why,” said senior author Dr. Nehal N. Mehta of the U.S. National Heart, Lung, and Blood Institute in Bethesda, Maryland. The fact that people with psoriasis have calcium buildups similar to those in diabetes may be a piece of the puzzle, Mehta told Reuters Health. People with type 2 diabetes are regularly screened for heart disease, which may also be advisable for psoriasis patients, he said. 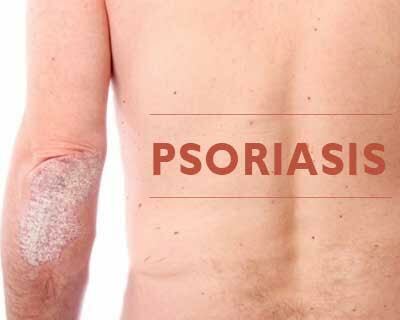 Psoriasis, characterized by itchy red and silvery patches on the skin, is an autoimmune disease that affects about 2 percent of North Americans and Europeans. Diabetes is much more common, affecting about 9 percent of the U.S. population, according to the Centers for Disease Control and Prevention (CDC). People with diabetes are twice as likely to have heart disease or a stroke as people without diabetes, and to experience these at an earlier age, according to CDC. One risk factor common to both psoriasis and diabetes and thought to play a role in elevated heart disease risk is chronic inflammation, which is known to promote arterial buildup. The researchers studied 387 people who were in their early 50s, on average, and were recruited from outpatient clinics between 2013 and 2015. The participants either had moderate to severe psoriasis but no diabetes or other inflammatory health conditions, or they had type 2 diabetes but no psoriasis or other inflammatory conditions or they had neither psoriasis, diabetes nor any other inflammatory conditions. At least half of each group had no apparent coronary artery calcium build-up, but 19 people with psoriasis had high levels of build-up, as did 20 people with diabetes and just four people with neither disease, according to the results in JAMA Dermatology. People with psoriasis tended to have fewer other heart disease risk factors like obesity, compared to those with diabetes. And when researchers adjusted for those kinds of factors, especially body mass, the link between diabetes and coronary calcium build-up was no longer significant, but the link to psoriasis remained. “The results are important confirmation of prior work which has suggested that patients with more severe psoriasis have a similar increased risk of major adverse cardiovascular events compared to diabetes,” said Dr. Joel M. Gelfand, director of the Psoriasis and Phototherapy Treatment Center at the University of Pennsylvania Perelman School of Medicine in Philadelphia. “The precise mechanism explaining the association of psoriasis and cardiovascular diseases is not known but it is thought that chronic inflammation, common to both disorders, is the primary culprit,” Gelfand, who was not involved in the study, told Reuters Health by email. In the short term, coronary artery calcium only presents a low risk to the heart, but becomes more dangerous as it builds up over time, he said. “Get screened for cardiovascular risk factors at least once if you have psoriasis, and after the age of 40 they should get screened annually,” including measures of blood pressure, body mass index and cholesterol levels, Mehta said. It also makes sense to try to exercise three to four times per week and adhere to a low fat, low salt diet, he said.